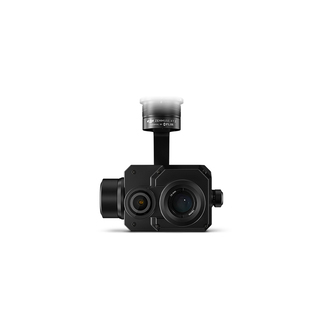 Pairing the FLIR Tau 2 thermal sensor and 4K visual camera with DJI’s leading stabilization and machine intelligence technology, the XT2 quickly transforms aerial data into powerful insights that saves time, money and lives. 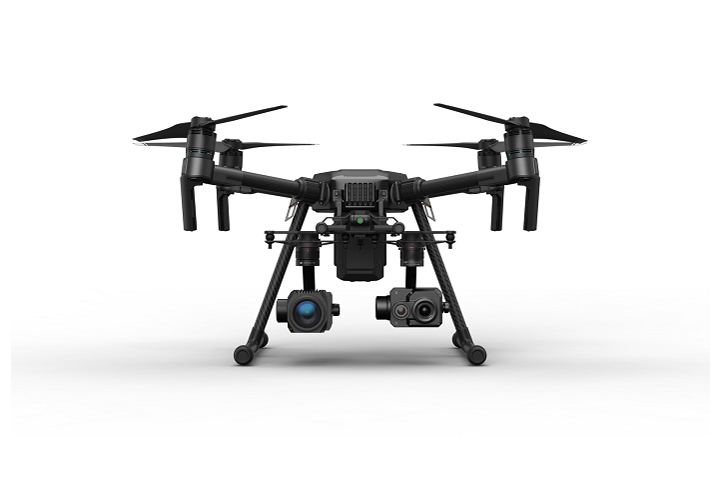 and 4K visual sensor - all integrated seamlessly with DJI's powerful enterprise drone platforms. Machine Intelligence helps teams identify what’s important while on-site, instead of after a lengthy processing time. Firefighting: Quickly identify hot spots with the ability to directly overlay thermal data on the visual overview and fine tune isotherm settings. Solar Panels: Locate damaged panels with little effort by adjusting the Temp Alarm settings to notify you of temperatures outside the norm. Hazmat: Discover if a container is full and identify the substance inside with one image using FLIR MSX. 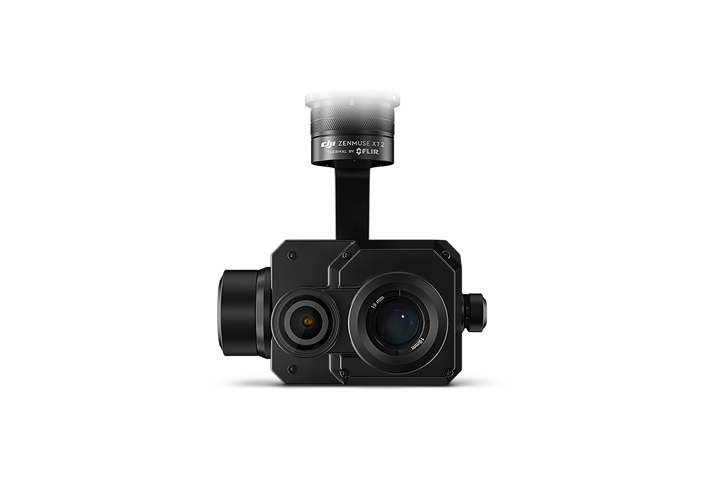 With a quick turn of the wrist the Zenmuse XT2 secures onto DJI’s industry-leading M200 Series and M600 Pro drones to provide pilots a direct view and control of this powerful thermal sensor. 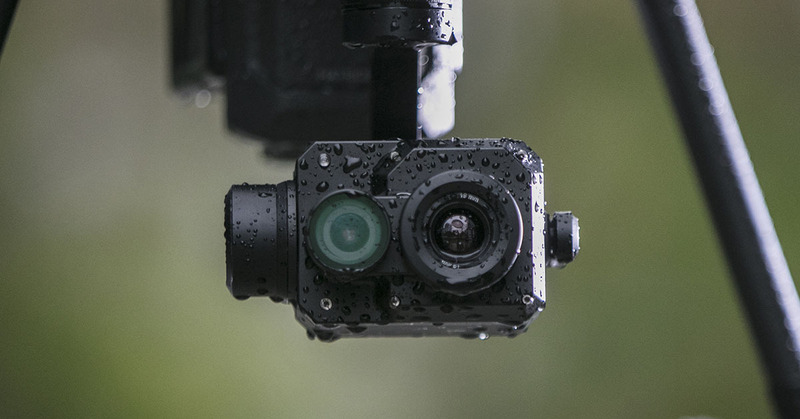 When the XT2 is mounted onto a M200 Series drone, pilots have a combined solution that extends the operation window for drone technology - letting pilots fly confidently in lowlight conditions, through a strong breeze or in light rain. Utilizing the M210 drone models, pilots can build more robust drone solutions around the XT2 over time by adding zoom cameras, additional onboard computers and other payloads to fit a variety of specialized missions. 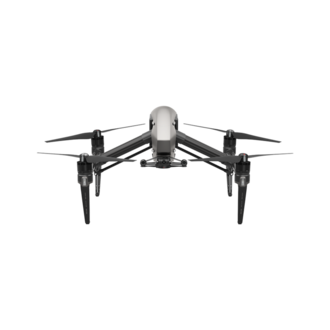 Professional Flight Control: DJI Pilot is a robust Android app developed specifically for enterprise-users to unleash the power of their DJI drones. With development made specifically for the XT2, DJI Pilot optimizes your flight and aerial imaging process. Notes: The SD card, which is located near the lens, is used to store TIFF Sequence and SEQ infrared RAW video only. The other format footage will be stored in the other SD card. 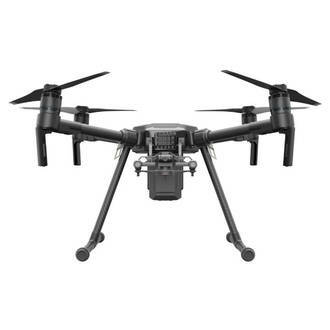 The XT2 can be mounted onto any M200 Series drone as well as the Matrice 600 Pro. 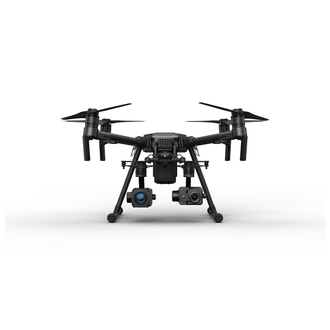 Please note that the XT2 will lack certain intelligent features like Heat Track and Quick Track when flown on a Matrice 600 Pro drone. Due to the XT2’s dual sensor design, DJI built in two SD card slots. 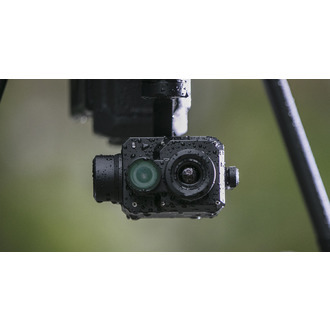 One stores typical photo and video formats while the other is reserved for thermal video data, which stores the full radiometric data from FLIR’s thermal sensor, enabling a variety of post-processing workflows.You can adjust the type of file stored for each category through the camera settings section of the DJI Pilot app. Besides MOV and MP4, the XT2 now allows video formats in TIFF SEQ and SEQ. Additionally, this feature allows much more post production space and temperature analysis from videos. 2. 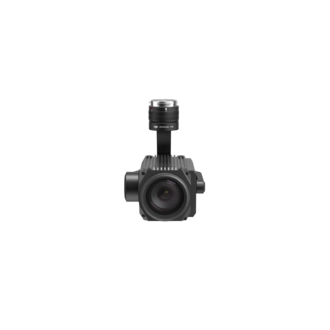 With an added visual camera, you can now record visual and thermal images at the same time. 3. Additionally, because of the dual camera, you can also overlay visual images on top of thermal images simultaneously. To record RAW videos in TIFF SEQ and SEQ formats, insert both Micro-SD card in the slots and RAW videos will be stored in Micro-SD card 2, otherwise you can only insert the SD card in slot 1. Keep in mind that the XT2 supports SD cards with storage spaces of up to 128GB and reaches UHS-3 level or above. 1. The reflection of objects on metal surfaces will result in lower temperature detection than the true value. 2. The background temperature will also affect temperature detection. It will be minor in clear weather conditions but greater in cloudy or cold weather. 3.The humidity and temperature of the air. 4.The thickness of the air; thicker air results in less accurate detection results. 1. ZXT2: refers to the Zenmuse XT 2. 2. A: refers to a lens with a resolution of 640*512. B: refers to a lens with a resolution of 336*256. 3. 19: refers to a lens with a 19mm focal length. 4. S: indicates a lens with 9Hz working frequency. 5. R: refers regional temperature detection." What is the "Side by Side" option in PIP Setting?